You vape your herbal blends because you want to avoid the carcinogens and toxins that are released when smoking them, but are you really getting a clean, pure vapor with your vaporizer? Unless that herbal vape pen is the Atmos Boss, it's hard to know for sure, as this premium convection model from the Atmos RX collection is engineered to prevent combustion while fully using all of the herbs in the chamber for maximum performance. Why is Atmos Boss a true Vaporizer? The Atmos Boss is the perfect vape for those who want thick, flavorful sessions without a lot of fuss and without having to compromise the purity of their vaping experience. This device features one-button operation that makes it very easy to use. Just press the button and wait for the blue indicator light to turn on. Then, draw and enjoy. It will keep the heat for 50 seconds and then shut off, so that you can begin the process all over again when needed. Many of the Atmos RX vaporizers that we sell are designed to completely eliminate the risk of combustion. Unlike many other vapes on the market today, the Atmos Boss has one, always consistent, 400-degree temperature setting. As a result of this, herbs reach and remain at the ideal temperature to fully vaporize without ever burning. This dry herb vaporizer, which can be used with wax as well but with a separate heating chamber, reaches optimal temperature in 30 seconds or less for your convenience. Atmos Vaporizers are made with Premium Raw Materials! Made from premium materials, as all of the brand's kits, it comes with a 5-year warranty from the manufacturer. The design includes a stainless steel heating chamber that is specially shaped to make it easy to pack your fine herbal blends loosely inside. The rubber mouthpiece has just enough opening to ensure a comfortable draw without diminishing the wear and tear resistance of this excellent vaporizer pen. At 6.135 inches in length by .65 inches in diameter, it is compact and light in weight. On top of all of this, it has a sleek & stylish design inspired by the classic, old school oil pen designs, and Atmos Boss comes in black or silver colors to suit your tastes. Featured in this listing, Atmos Boss vaporizer comes with lithium ion battery that is quick and easy to recharge. On a single charge, the battery can last for up to 1200 draws, allowing you to enjoy multiple vaping sessions when you're on the go. 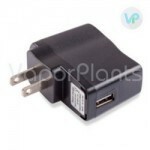 The vape comes with two charger options: a standard 110-volt wall charger and a USB adapter. You'll also receive a number of different accessories. Included cleaning brush greatly simplifies maintenance, and the packing tool will help you easily transfer your blends from your herb storage container into the vaporizer heating chamber. Happy customer - Review by Monique M.
This was my first herbal vape and I am happy to report that there was no learning curve with the Atmos Boss. Just pop in the material, heat it up and you're all set. A very OK Dry Herb Pen - Review by Glenn S.
Personally I have never owned a vaporizer, so this Atmos Boss is my first. Definitely a well designed pen so anyone can use it. My friends vape or dab pens are very hard to use and hard and load, but my Atmos Vaporizer is set up much simpler. So far I have had this unit for almost 2 months and i enjoy it every time I am vaping my herbs. Good small unit that works well if herb is finely ground. Great flavor, but battery life could be better. Two good hits, stir and get 1 or 2 more, this would be a good travel item. Superb device - Review by Minnie T.
I am new to vaping so I was not sure what to expect when I picked up this vape. The unit itself seems really well made and there is nothing to complain about in terms of its design. When I got the Atmos Boss I did so in order to cut back on how much I smoke, and I love that it is nothing but pure vapor because of it. I really love the device and I love the free wax chamber attachment. After using the Atmos Boss for a long time, I will say that the wax chamber might even work better than the dry herb chamber. All in all, it is a superb device. Outperforms - Review by Robert A. The Atmos Boss is a great little vape pen that consistently outperforms my other vapes that cost just as much. It has a great taste and is quick and easy to use. Best vape - Review by Patricia G.
This is the best vape I ever bought. The wax attachment works wonders. User friendly - Review by Marta L.
I have issues with smoking due to asthma so I got the Atmos Boss to use instead. I have tried a number of different kinds of vapes in the past but none were as user friendly as the Atmos Boss is. It has been used daily by me for months now and I still have no complaints. Super durable - Review by Leo F.
I have had the Atmos Boss for a few days now and it is so far so good. It seems really well made and is super durable. The clouds that the Atmos Boss produces are good and the taste is good a well. I love it - Review by Helen T.
I have had the Atmos Boss for a month or so not and I love it. It is not hard to clean and it is easy to use. Best clouds - Review by Elizabeth D.
High quality - Review by Weeds P.
I love the Atmos Boss vape. It is super high quality and it is helpful with my medication. I am really impressed. Very discreet - Review by Jeremy G.
I am extremely satisfied with my purchase. I love how discreet the Atmos Boss is and I never have to worry about using it out in public. The results that it delivers are incredible. I can carry it around with me to use it wherever I go. I recommend it to anyone. A true vaporizer - Review by Edward D.
I have been waiting for a vape like this: one that is a true vaporizer but that comes in the form of a pen. It is really stealthy and just looks as if I am using an ecig. It does not have a really high draw resistance like I anticipated and instead pulls just like an excig does. There is also no odor so that makes it even more discreet. I do not leave the house without it anymore. Small chamber - Review by Cindy T.
I love the Atmos Boss .The only complain that I have about it is that it has very small chamber so it is more suited for personal use than party use which is how I like to use them. Otherwise, the Atmos Boss works like a dream. I have been a customer at VaporPlants.com for quite some time now. I purchase all my vaping devices from you because you deliver the very best, high quality authentic merchandise. Thanks! I bought Atmos Boss dry herb vaporizer from you and experienced the very best customer service! I called because I had so many questions to help me get the right one for me. I am really impressed that you guys offer a real phone number and I got to speak with a real person! All my questions were answered and I bought the perfect vaporizer for me... I always shop online, because it fits my busy lifestyle, and now I have found an online store that has made me a loyal, satisfied customer! From Atmos Raw to Atmos Boss - Review by Garry Kirk Jr. Recently my Atmos Raw pen went out of commission, lasted me long enough, so decided to get this Boss vape in black and can tell you honestly, do not have any complaints. Definitely a good unit for the asking price and has big enough chamber. Only problem is that it has single temperature setting, it works well, but would be nice to be able to adjust temperatures. If you are new to the vape scene, as I was a few months ago, Atmos Boss would be a good choice for you. It is not 100% discreet as some other vape pens, but functions well. I have a big desktop vaporizer which works very well, but can only be used at home and this vape gives me freedom to vape on the go. Everything has to be on the go these days! 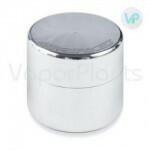 Best Vaporizer - Review by Julie R.
This is a great vaporizer! Easy to use and vape with! Very slim and discreet - Review by Ryan R.
This vapor pen has been with me for 3 months now, very pleased with the vapor quality and ease of use. Cleaning is not difficult, just have to make sure you clean it right after use, this way it does not get sticky once the chamber cools down. I would recommend this vape pen if you are looking for a small unit when traveling. Wow, I was very surprised with this vape pen, it’s so lightweight and I love the thick vapors, definitely the best I’ve tried from Atmos!